It was a rainy afternoon and I can't imagine how I was able to catch the launch of Lee's denim campaign 'Stay Curious.' Straight from the office, I saw some familiar faces on the event and most of them are new since I'm not into fashion events and most of my events, if not food, entertainment - TV, music, movies, etc. 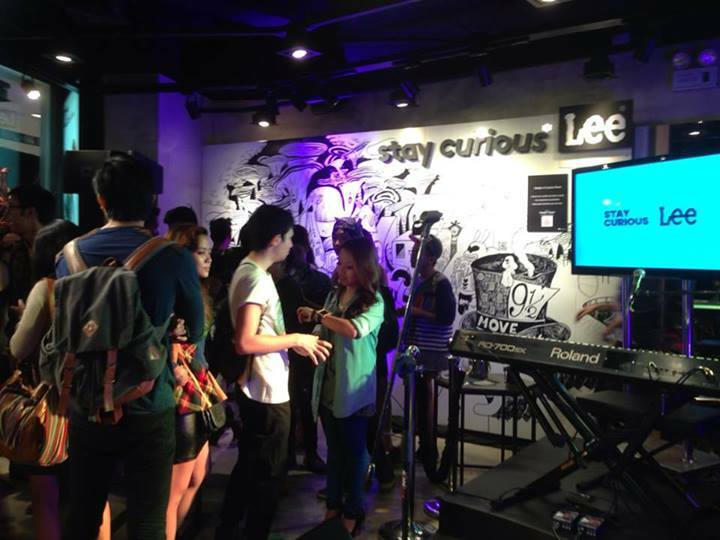 Anyways, the legendary and pioneering denim brand Lee® recognizes the power of curiosity, and to celebrate the 100th year anniversary of its iconic Union-Alls, and the exclusive preview of two of its newest innovative product lines for Holiday 2013 – Lee® Stretch Deluxe and Blue Label at the Lee® Concept store, in Glorietta 2, Lee® introduces five highly accomplished individuals, multi-hyphenates who best exemplify how curiosity leads to success – not just in one but in two or more fields. Based on my personal experience, I find some jeans uncomfortable because they don't stretch easily therefore it restricts my movements and I also find them irritate my legs because of the seems being pushed against my skin. With Lee®'s promises in their newest innovative product lines, I think it's time for me to stay curious and try these newest products! Curiosity is a quality that is often associated with danger and mischief. But it is also a valuable skill that propels innovation, initiates breakthroughs and urges a person to keep on pushing and exploring, and in the process, discover new ideas, forge new paths. Promising to deliver superior fit and comfort, Lee® Stretch Deluxe jeans has built a strong following amongst the denim loving set. The strong core offering of fits include popular styles such as Scarlett (Skinny), Skyler (high waist superslim) and Jeggings (low waist superslim), which are complimented with on-trend washes and colors. The Blue Label, Premium Quality Denim will provide you a premium quality denim. The jeans have a soft feel, and yet ensure extra durability and comfort. Lee® Stretch Deluxe and Lee® Blue Label are available in all LEE concept stores nationwide.